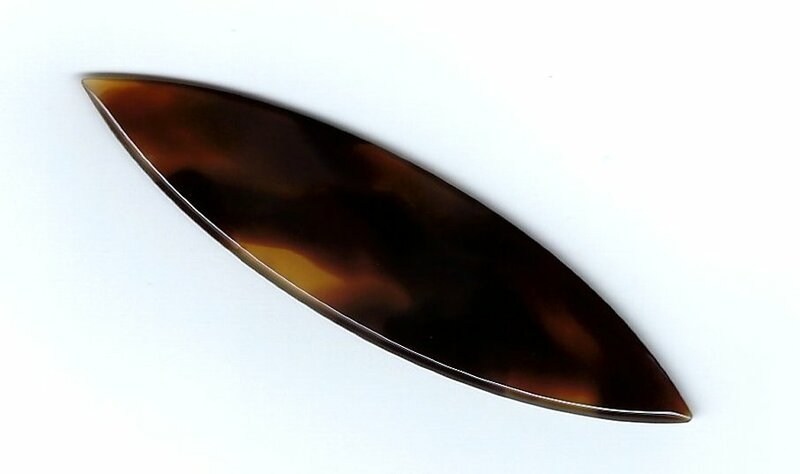 Embergher-Ranieri style plectrum as used by Sebastiaan deGrebber. This is our turtle shell version. These plectrums are approximately 1.85mm thick, 17.5mm wide and 67mm long. This plectrum also works very well for use on a Mountain Dulcimer. These plectrums are made to order so they may take up to ten days before shipping.